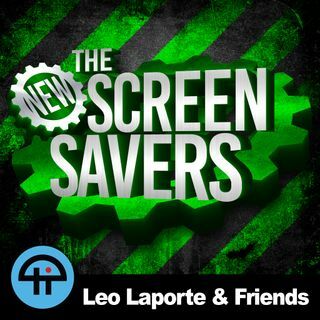 On The New Screen Savers with Leo Laporte and Megan Morrone recorded on Saturday, July 14, 2018: Megan and Leo discuss the new $399 Surface Go by Microsoft and the MacBook Pro 2018 refresh.TakeThis.org Co-Founder Russ Pitts tells us how they're working to advocate and educate about mental wellness. Plus, see how they've partnered with indie game developers, Devolver Digital and Mega Cat Studios, on a retro SNES cartridge game called "Fork Parker's Crunch-Out" to help in ... See More their mission.Leo reviews the Nuheara IQbuds Boost. A hearable that gives you control over how you hear the world around you and auto-calibrates to best match your hearing profile.Want to keep in touch with your kids but aren't ready to give them something like a smartphone? Megan shows how Relay, a phone alternative by Republic Wireless, might be what you're looking for.Jason Howell reviews the BlackBerry KEY2. Is the new keyboard making a comeback or is it just a throwback?